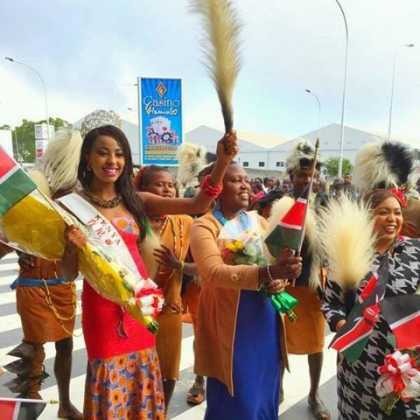 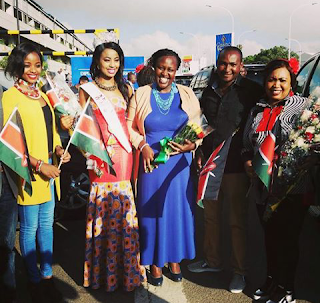 Reigning Miss world Kenya Charity Mwangi, received a hero’s welcome when she touched down at the Jomo Kenyatta International airport from Sanya, China where she did a superb job representing the country at the Miss World 2015 finals. 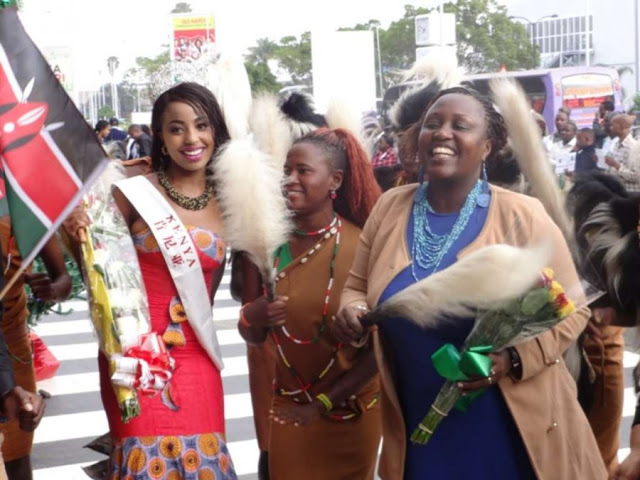 The Agricultural Resource Management student at Kenyatta University, who hails from Kiambu county, made it to the top 30 list and her beauty with a purpose project was rated top 15 out of 114. Charity also made it to number 4 in the sport team of top 6 and recognition for the best dressed overall.